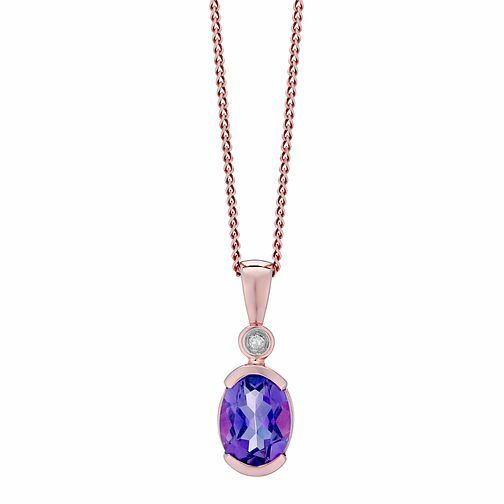 Featuring a glimmering oval amethyst in a contemporary setting, below a delicately sparkling diamond, this sumptuous 9ct rose gold pendant is finished with a fine chain. An utterly feminine and versatile accessory. 9ct Rose Gold Oval Amethyst & Diamond Pendant is rated 4.0 out of 5 by 2. Rated 4 out of 5 by Anonymous from Good quality A little smaller than expected but the gift was very well received. Lovely design.